Funny your comment about "Lack of Industry". Hahahaa..in other words lazy. Or in Tagalog. "May sakit sa bato. (As in bato-gan)". 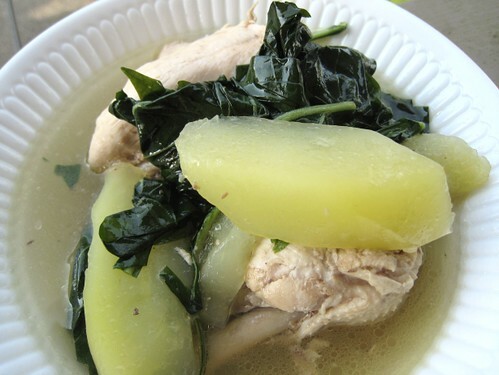 Actually you can also substitute chayote if you can't find green papaya. 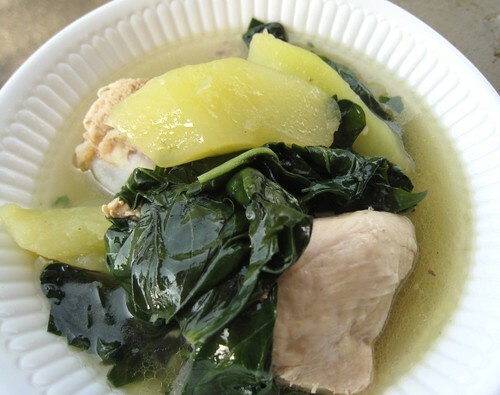 Tinola is another simple dish to make but it's good. 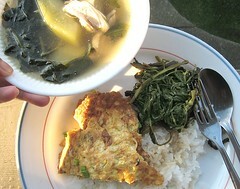 It can pass for comfort food Pinoy style. 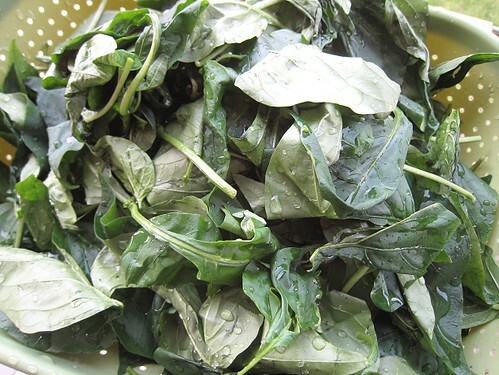 BTW, where can you buy chilli pepper leaves? 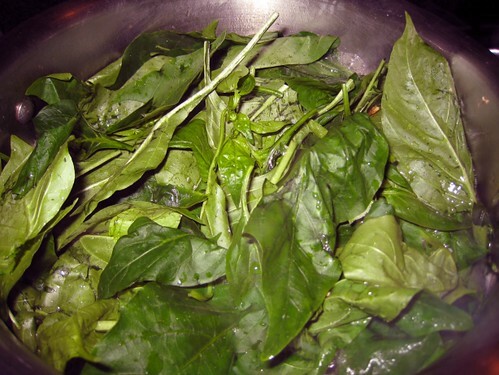 I usually get the chili pepper leaves from either Yaohan or T&T. They don't always have it, but when they do, they usually pack it in clear, plastic bags near where all the green leafies are. Yes!! I found some in T&T Richmond. They also have green papayas. 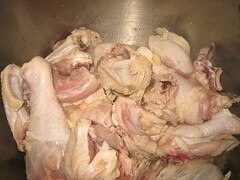 I also bought chicken wings and chicken bones. 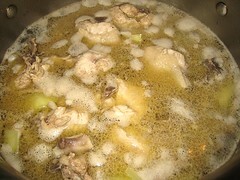 I roasted the chicken bones first then boiled it to make chicken broth for the chicken wings tinola. Thanks again for the post. Howdy! Thank you so much for checking out our blog! I'm now poking around yours and only got thru the latest post and i'm already hooked!!! 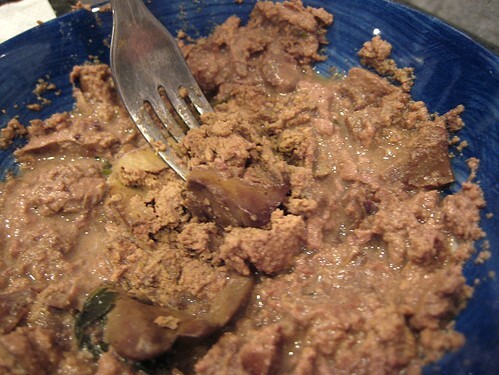 CHICKEN LIVERS MASHED UP IN SOUP!!?? Are you freaking kidding me? 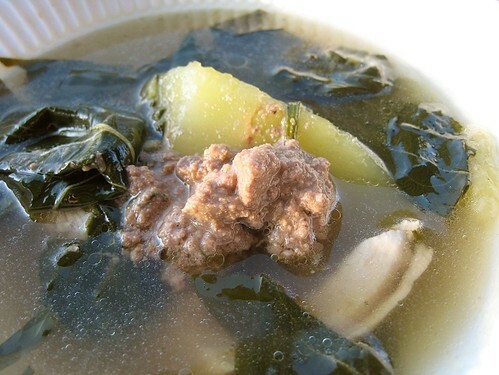 This looks so delicious and will be bookmarked for when colder weather returns. 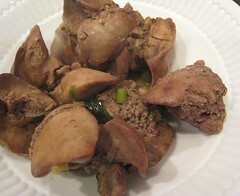 I also love that you really schooled me on the authenticity of this dish. I got the stuff to make this tonight. Well, almost. 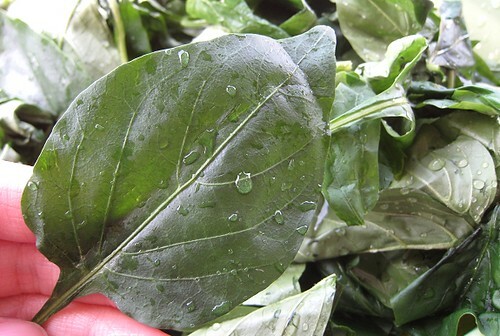 I have no idea what kind of leaves I got-- they're a bit minty, actually. I wish I had read more in depth before I went to the store, because if I saw the comment about them in the clear plastic bags, I could've grabbed them! 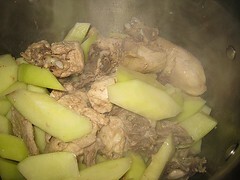 you like tinola?me tip ako syo,when sauteing the chicken, i-add mo na ang patis.mejo damihan mo kse sasabawan mo rin lang.palutuin mo ang manok na hindi pa tinutubigan.cover and simmer mo sya sa medium fire.then pagluto na manok,ska mo lagyan ng tubig.trust me,hehehe.kung hindi sumarap yan,nakow! Thanks for the comments. 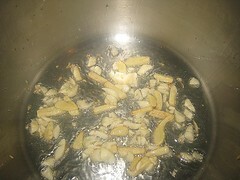 Wow, we love it that you are making this dish! Thanks for the tip, Geraldine. 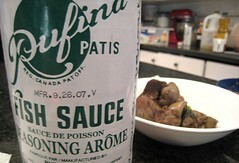 We add patis (fish sauce) pala while the soup is cooking, but we've never added it to the chicken before adding water. We'll try it.